This is just an excuse to write a post about my FA cup repair story which is not currently on my website (until now). One of the photos from the series was highly commended at the British Life Awards Exhibition and book that has just opened and is showing at the Mall Galleries in London until the 7th of March. 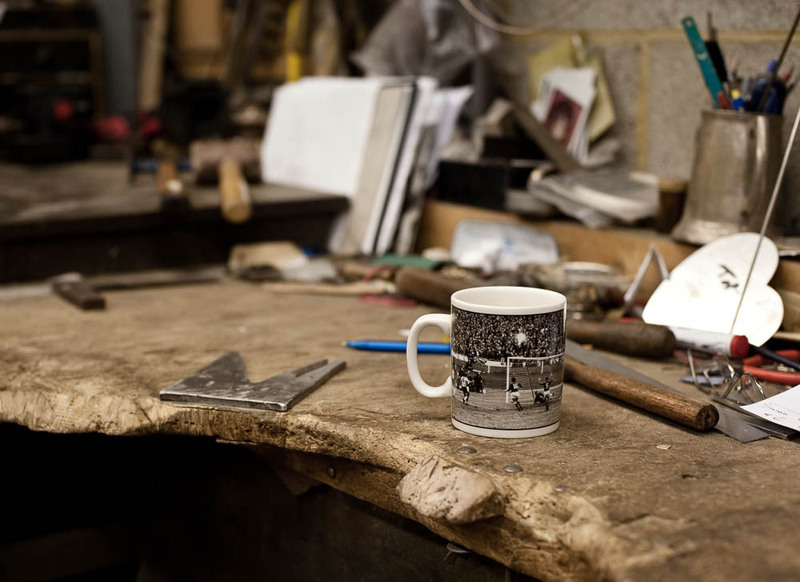 This was a small perfectly formed story, I contacted Thomas Lyte who are the silversmiths that are entrusted to look after repairs of many major sport trophies, including football's famous FA cup, and managed to convince them to let me into their workshop. Kevin Williams (pictured above) and Tony Cimmering have been repairing the FA cup for the last 15 years, they tap, shape, remould, heat up and re-coat the cup after its encounter with very excited footballers and fans. 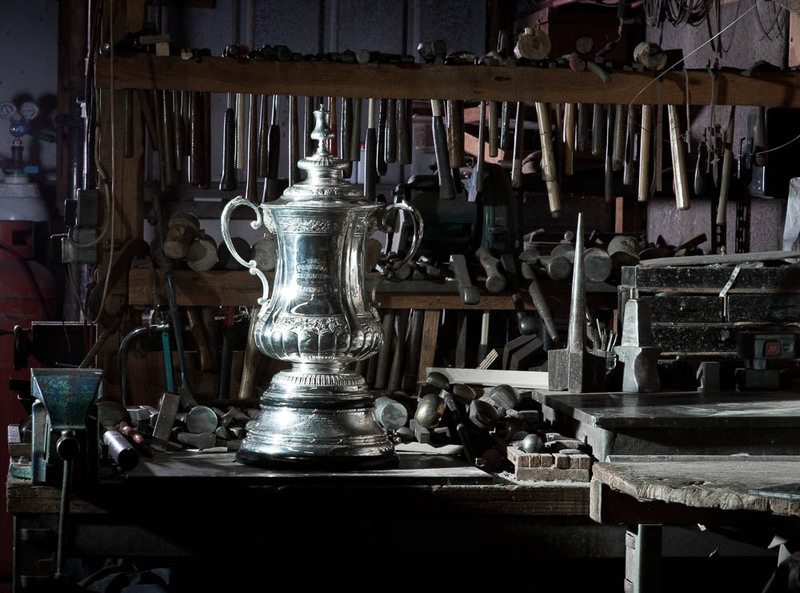 This 143 year old fragile Victorian cup gets dropped and bashed up every year and Thomas Lyte and their skilled artisans, have the job of making it reappear looking perfect again, for another starring appearance at the FA Cup Final in May. This 'makeover' all happens in a small workshop in an industrial estate on the outskirts of London, by a very old fashioned silversmith using tools and techniques that haven't changed for decades. As it was a small dirty workshop that wasn't all that visually interesting I had to use lighting to elevate it a bit and add some drama. So for example, I used a blue background light that would make the fire of the burner stand out more and make a nice silhouette of Kevin in the shot above. The repairs are done in the most old fashioned way by a silversmith trade that is still regarded as the best in the world and hasn't really changed in decades. British silversmiths are still viewed as the world's finest at creating the highest quality and most refined silverwork. These artisans are all in their 50`and 60's, so it's an industry which is likely to disappear in the next couple of decades.